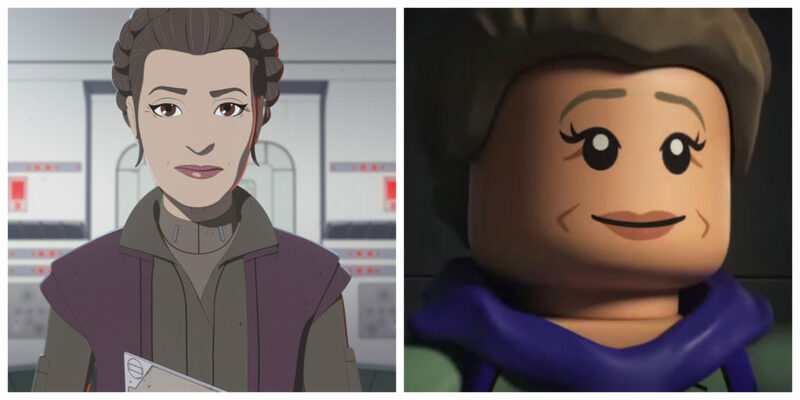 Carolyn Hennesy voices Leia Organa in Star Wars Resistance and LEGO Star Wars: All-Stars. Hennesy has been working as an actress since the early 1990’s. Some of the TV series roles you might recognize her from include Barbara Coman in Cougar Town, Rosalyn Harris in True Blood, Rhoda Chesterfield in Jessie, and Penelope Ellise in Revenge. Hennesy has also played the role of Diane Miller on General Hospital since 1981. You can hear Hennesy as Leia in this video where Star Wars Resistance creators talk about introducing Leia into the show below.